Radiant Copenhagen documents the future of Copenhagen. 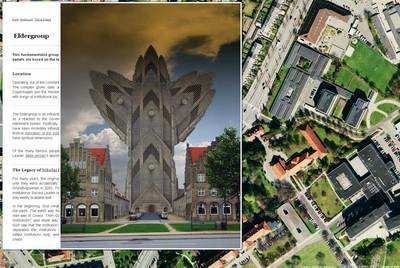 Marking up a GoogleWiki maplike thing, artists Anders Bojen, Kristoffer Ørum, Kaspar Bonnén, and Rune Graulund have created a new future, one that is at once probable and entirely fantastic. Kind of like reality. It's brilliant because it's played out over our new way of discovering architecture: through markups, tagging, satellite imagery, and as a companion to the real city we are surfing the internets in.